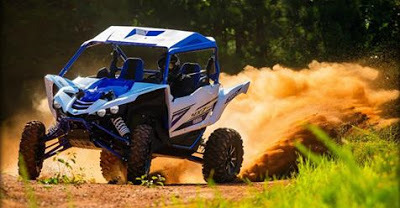 Mid-West Racing Association is bringing UTV racing to Missouri, Michigan, Illinois and Ohio. Kirksville, MO, March 28, 2009: The Mid West Racing Association was formed by Chris Drennan and Andy Prins from Spectrum Sandsports to promote UTV Racing in the Central US. This is our first year and things our already moving fast. We have a UTV series for the first time in Missouri and Michigan, drawing people from at least eight states. We have also agreed to run UTV Racing for the Mid-America Off Road Assoc (MAORA) in their truck and buggy series. Their series includes races in Indiana, Ohio, and Illinois. Our goal is to expand the UTV market into the Midwest by promoting UTV Racing and the sport in general. We want to make dealers in the Mid-West aware of what is available for their fastest growing market, UTV’s and aftermarket accessories. To start the 2009 season we will have a track orientation on April 18-19 at Thunder Ridge MX Park in Kirksville, MO. They want input from UTV drivers so the track will reflect what the drivers want for their first UTV race June 20-21st. For those that want to hit the series WFO, April 18-19 will be the first race at Lincoln Trail Motorsports Park in Casey, IL.